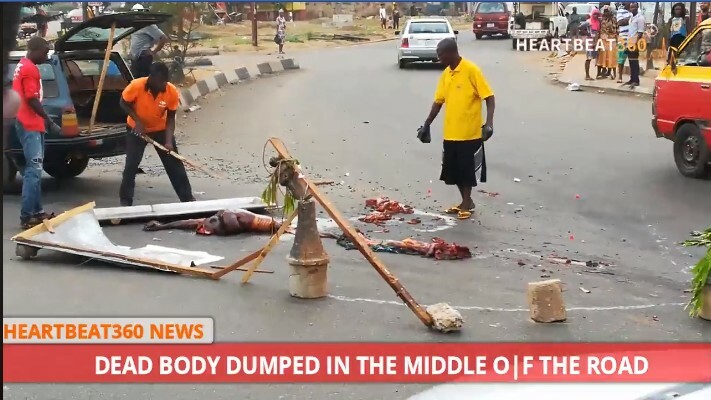 Residents were gripped with fear after a dismembered corpse of a middle-aged man was found in the middle of the road on Sunday in Benin city, Edo state. 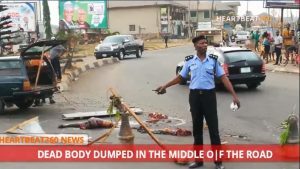 The incident caused a slight traffic at the popular Five junction in Benin where the corpse was found but officers of the Nigerian police were on ground to control the traffic. 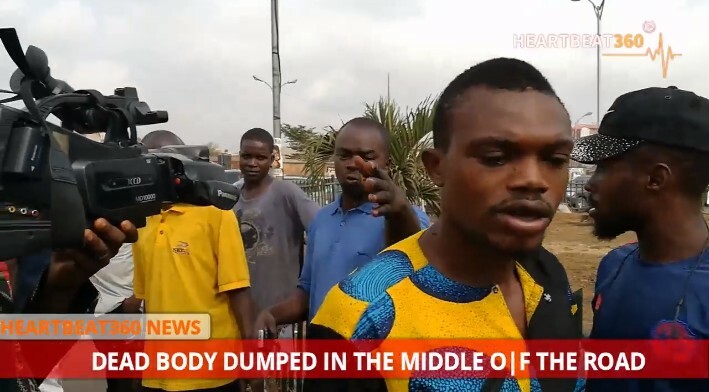 Concrete details as what led to the incident could not be gathered as there were no eyewitnesses which led to diverse opinions as to what really happened. 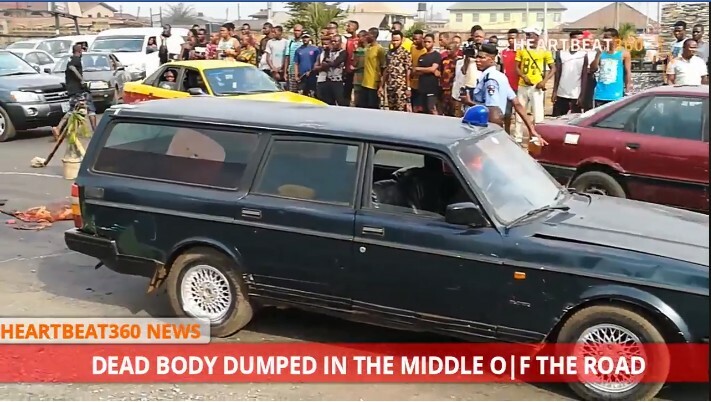 Some of the residents who were interviewed claimed the man was killed in an accident while others argued that he was murdered by unknown gunmen who shot him and dismembered his body before dumping his corpse in the middle of the road. One of the victim’s legs was allegedly taken away.